What should I ask my roofer? The first thing you should ask, is “Do you have a physical location?” If they answer yes, it shows their stability within the community, and likely prove they have a better reputation. The next thing you should ask about is warranties. Upon agreement of any roof repair or replacement, a contract should be signed, and warranties should be represented on that contract. You should also ensure that the contract is a formal contract, not something typed up or written on paper, it should be official, to protect yours, and the roofers best interest. Finally, you should ask a roofer for proof of insurance. Any reputable roofer will be able to present documentation of their proof of insurance. If something were to happen to you, your property, or a worker, you need to be protected. 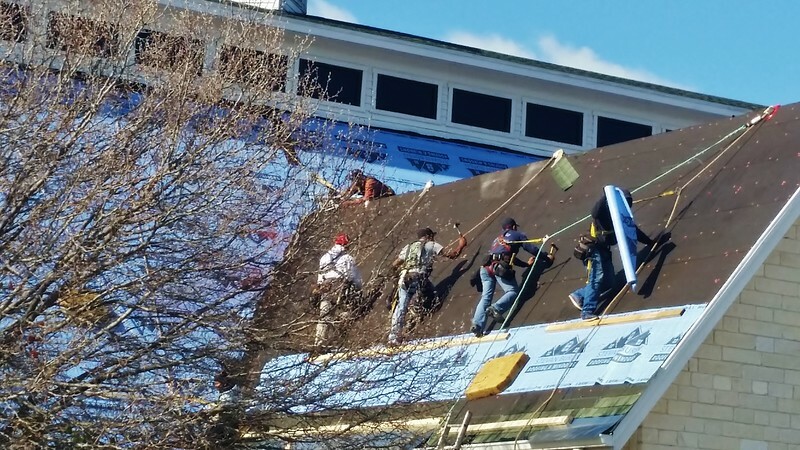 How do roofers stay on the roof? For safety reasons, roofers should remain off the roof surface. Reputable roofers will keep a close eye on weather reports, and ensure that your property is protected during a roof repair or replacement. While rainy weather isn’t good for repairs, it is great for inspections. Many roofers will take this opportunity to perform inspections on homes in need of repair. Leaks will be easily identified during rainstorms. While we cannot speak for all roofers, the crew members of Stevan Buren Roofing will use the restroom at an offsite location for shorter residential roofing projects. These projects can typically be done within a day or two, and out of respect of a homeowner and their property. Our crews will only use the restroom at another location during breaks or lunches. For larger and longer projects, we will bring a portable restroom for the crews to use. How can I find a cheap roofer? Everyone wants to get the best bang for their buck. It is important, however, to find a reputable roofer who is going to give you a thorough estimate. Often times, when you find a cheap deal from a contractor, they are intentionally leaving things off their estimate, and will nickel and dime you in the long run. Find a roofer, who will be careful and meticulous in their estimate, someone who is thorough in their estimate will usually give you a high-quality level of workmanship. Often times the contractors who are cheaper upfront will cost you more in the end. Justin had a difficult time filming this video. We soon realized he was working his way through the Seven Stages of Grief, see his behind the scenes outtakes.